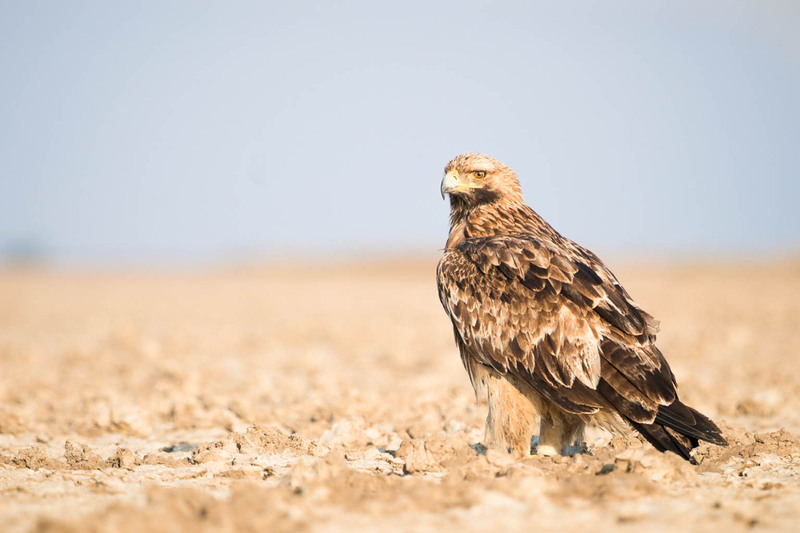 The ‘Save the Raptors’ project, which is co-funded by the LIFE programme, aims to conserve Imperial Eagle and Saker Falcon in key Natura 2000 Sites in Bulgaria. There are various actions taken within the framework of the project for instance eliminating one of the most serious conservation problems facing the globally threatened imperial eagle: electrocution. This caused 67% of juvenile mortalities within the breeding territories of 30% of the Bulgarian eagle population, concentrated in Sakar ‘Special protection area’ (SPA), between 2009 and 2013. The project is of the highest importance, not only because Bulgaria harbours some 10% of the EU population, but also because this viable population is the only one within the EU that carry ‘Anatolian’ genes, which make them unique. The project managed to secure 595 hazardous electricity poles along 59 km, and as a result, no electrocuted eagles have been recorded recently, which contributed to an observed 25% increase in the number of breeding pairs. The project has recently been shortlisted for the award of the Best LIFE project in 2014.